If you own a garden, you are likely already aware of the myriad health benefits associated with growing your own food. Homegrown vegetables can be grown without pesticides, herbicides, or other dangerous chemicals, giving you complete control over what you put in your body. Even better, homegrown veggies give you the financial flexibility necessary to can, freeze, dehydrate, and store extra produce, as you can have a bumper crop of any vegetable given the right growing conditions. While all homegrown crops present health benefits, there are several that tend to be higher in antioxidants, vitamins, minerals, and other goodies that can boost your immune functioning, resistance to cancer, and overall well-being. While the workload might be slightly higher in growing an organic garden, don’t let that deter you! A homegrown garden, especially one grown without the aid of chemical fertilizers, herbicides, or pesticides, produces vegetables that are much healthier for you and don’t have to be cleaned quite as thoroughly as store-bought produce – because they don’t contain toxic substances, of course! 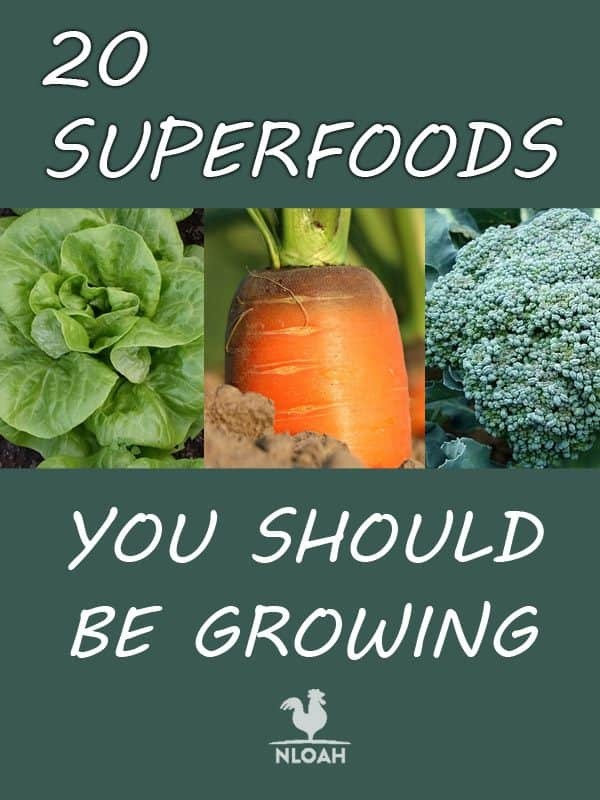 Consider growing one of these top twenty superfoods in your garden this year. Kale is one of the most infamous superfoods, rapidly growing in recognition for its hundreds of health benefits. This vegetable can be grown from seed or as a started seedling in practically any growing zone. This dense, crinkly veggie can be harvested as a sweet, tender green in the spring, as well as throughout the summer. It can even be grown in the late fall and throughout the winter, if you have a cold frame or similar cold-weather growing structure. With nearly three grams of protein and equal parts of fiber, as well as dozens of vitamins and nutrients, this plant is a must-have item in any backyard garden. Also known as sun roots or sunchokes, this sunflower-related plant produces edible tubers similar in appearance to knobby potatoes. They taste like artichokes but have the texture of a crunchy potato, offering up health benefits such as high quantities of potassium, magnesium, iron, and vitamin B.
Garlic is a fragrant seasoning with which you are likely already familiar. Garlic is great for fighting colds and boosting the immune system, and is packed with necessary antioxidant, antibiotic, antifungal, and antimicrobial properties. Grown as a root, garlic can be grown and harvested throughout the year in just about any location. You might have hated it as a child, but you should definitely reconsider cabbage as an adult. This vegetable contains high levels of sulfur, which is beneficial in preventing cancer and fighting other inflammatory conditions. Consider growing both red and green varieties for the best results. Chia seeds are filled with heart-healthy omega 3 fatty acids and can keep you full longer than practically any other food. They can help regulate your blood sugar and lower your cholesterol as well. Try growing chia seeds from a plant indoors for best results, (similar to a Chia Pet). Spinach is easy to preserve and packed with nutrients, like vitamins A, K, D, and E. It can be frozen or canned, and can even be grown indoors in places with short growing seasons. Carrots come in all sizes and colors, with each type high in carotene, a nutrient that fights both cancer and the natural effects of aging. Carrots are just as good for you when cooked, and can be canned, frozen, or dehydrated so that you can make the most out of your autumn harvest. Like kale, carrots are a cold season crop that can be harvested long after the first frost. Sprouts are so easy to grow, they can even be grown in a leftover mason jar. These plants don’t require cooking, and offer hundreds of health benefits. Just about any plant can be sprouted, including radish, soy beans, peas, or broccoli, but most people grow alfalfa sprouts. Quinoa is high in protein and other crucial nutrients, such as quercetin. Many people never consider growing quinoa in their backyard gardens, but it’s easy to grow. It can be planted from seed in Zone 4 and warmer. Sweet potatoes are one of the most delicious vegetables on this list and are packed with vitamins and minerals. These tubers are a top source of vitamin A as well as fiber and antioxidants. They can be grown in the garden, a container, or even on a trellis. Tomatoes are one of the most popular vegetables to grow, because they are flavorful, nutritious, and easy to grow. There are hundreds of varieties of tomatoes you can plant. Pick them at their peak ripeness, when they are fully colored and firm. For best results and harvesting throughout the growing season, plant several types. Broccoli is another cold-season crop that grows well in chillier climates. A member of the brassica family, it is high in sulfur and other crucial nutrients. Oregano is one of the easiest spices to grow, as well as one of the healthiest. This plant is high in antioxidant and antibacterial properties, helping prevent a variety of illnesses. Many people even use oregano as an all-natural cleaning solution! If you’ve ever started a backyard garden, you likely already know how easy it is to grow zucchini. Once they’ve reached maturity, zucchini plants can pump out hundreds of fruits in a season. Zucchini is high in antioxidants, as well as several key vitamins. Sunflowers are a gorgeous addition to any backyard garden, helping to attract pollinators and even serving as free chicken feed once they’ve reached their prime. Sunflowers are incredibly hardy, and their seeds are filled with vitamins E and B1, as well as magnesium and copper. Apples are filled with fiber, potassium, vitamin C, and other beneficial nutrients. These tasty fruits are linked to lower overall body weight and improved health, and while they can be grown just about anywhere (particularly in northern climates), they do take a few years to become established. Berries aid both your mind and body, including dozens of antioxidants and other beneficial nutrients. Blueberries – as well as other healthy berries like raspberries and strawberries – grow like weeds in acidic soil, making them a go-to choice for many backyard farmers. Cauliflower is incredibly high in fiber, as well as choline, a less common mineral that is crucial for healthy living. Cauliflower is a cold-season vegetable, growing easily in any soil throughout the cooler months of the year. While there are hundreds of types of beans, including black beans, kidney beans, pinto beans, and others, green beans are arguably one of the easiest superfoods to grow in a backyard garden. Available as either climbing or bush varieties, beans can be grown just about anywhere and are a great source of protein and other nutrients, such as folate. Obviously, you need to grow pumpkins in order to be able to harvest pumpkin seeds. While the whole fruit is good for you, pumpkin seeds in particular are packed with antioxidants and other valuable nutrients, like magnesium. Grow a variety of pumpkins to enjoy pureed, sautéed, or roasted, or consider feeding the fruits to your livestock as an inexpensive option once you’ve harvested the seeds. 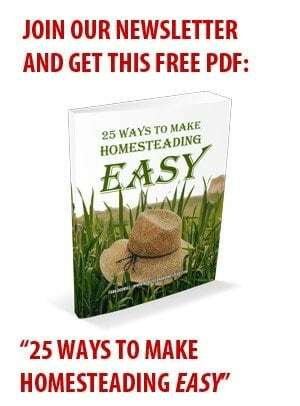 If this is your first year growing your own backyard garden, start off small. Don’t try to plant everything at once, as this is a surefire way to make you become overwhelmed and cause you to give up on the endeavor before you ever truly get started. Weeds and pests can both be an issue in homegrown, organic gardens. Why undo all of the health benefits of your hard-earned garden by spraying your plants with toxic chemicals? Luckily, it’s easy to control both pests and weeds by taking a few precautionary steps. For example, never plant your crops in the same spot between seasons. Rotate your crops so that the soil does not harbor detrimental diseases and pest larvae. Watering wisely can also help control pests and disease in your garden. Some diseases, like powdery mildew, develop on plants when the water has been allowed to settle on their leaves. To avoid this, only water your garden first thing in the morning, a couple times a week. Aim for a deep soaking less regularly instead of a light spray every day. You can also use mulch to control both weeds and disease. Mulch helps to moderate moisture and balance the nutrients your plants receive. They can help dry soil stay damp for longer, and give wet soil time to dry out before mildew and other fungal diseases set in. Be careful with oregano – it is invasive! It took over the mint in a backyard bed in my yard, crept around a granite stepping stone, and started taking over a flower bed. Unless you have plenty of room to let it run, and no other plants that it could overrun, grow oregano and mint in pots. Preferably on a concrete or other surface where they can’t take root and take off. Charlie, just highlight, copy and paste to Word. Works all the time. Occasionally a picture comes over, but on this particular page, although it gets highlighted, the picture does not paste.